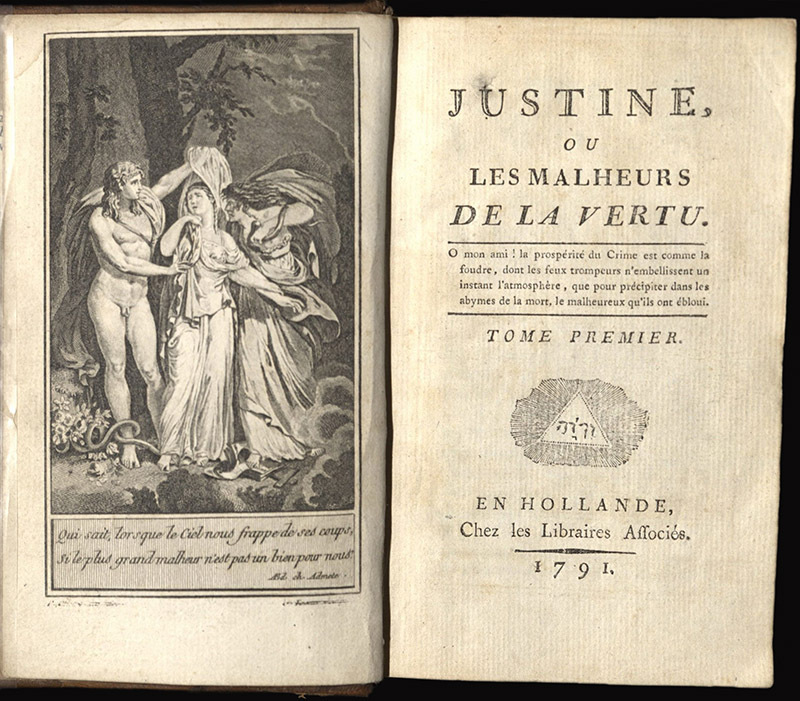 This first edition of the Marquis de Sade’s Justine bears an unusual mark – it’s been punctured clean through. A bookseller’s description pasted inside explains: shortly after its publication, this copy was nailed to a pillory. Such evidence of the use (and abuse) of books is critical to their history, and to our work as librarians. 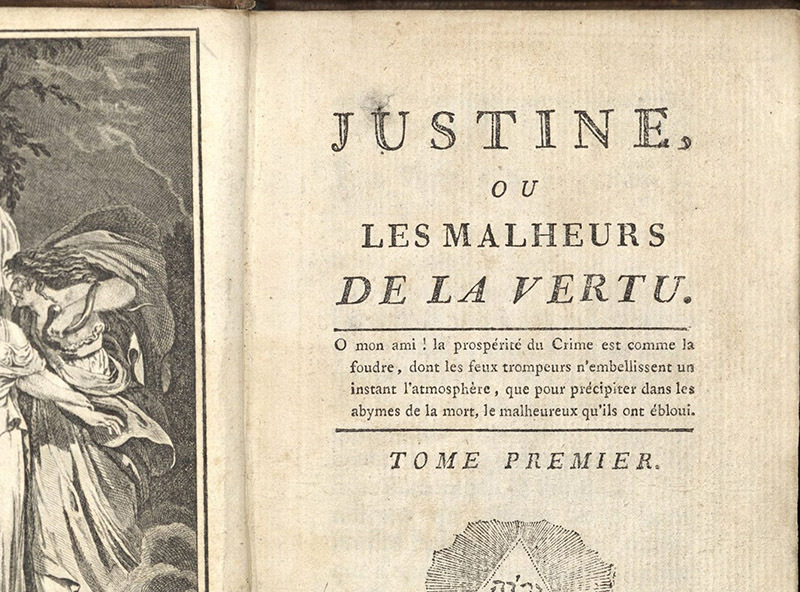 This volume, once made to stand for its author, now preserves for us a centuries-old dialogue. On one side is Sade’s cruel thesis: that virtue suffers pain and humiliation, while vice reaps earthly rewards; on the other is the hammer-wielder’s disdainful, violent riposte.